Sal Savatteri, Jr. is an internationally recognized leader in the immigration field. He founded the Savatteri Law Firm, P.C. in 2006 and under his leadership, the firm has created a track record of client success. Over the years, Mr. Savatteri has advised both corporate and individual clients worldwide. He helps his clients resolve complex issues by developing creative legal strategies. He represents clients in numerous sectors including manufacturing, health care, professional services, and academia. His representative immigration matters include investor visas, adjustment of status, exchange visitors, immigrant visa processing, labor certification, naturalization, temporary worker visas, waivers of inadmissibility, asylum, and I-9 audit and compliance. Mr. Savatteri is a member of numerous professional associations including the American Immigration Lawyers Association (AILA). He is active member with several local chapters of AILA and serves a Vice Chairman of Rome District Chapter – London. 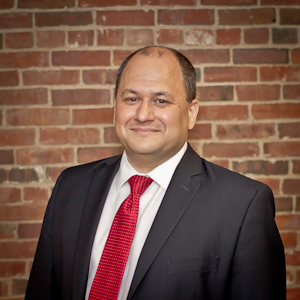 Additionally, Mr. Savatteri is a member of the Maine Bar Association, Lackawanna Bar Association, Wilkes-Barre Law and Library Association and World Affairs Council of Maine. In 2012 Mr. Savatteri was appointed to a five year term by the Mexican Secretary of Foreign Relations as Consultant Attorney to the Consulate General of Mexico – New England. In this diplomatic role he acts as liaison between the governments of Mexico and Maine. As an expert in the immigration field, Mr. Savatteri is a regular speaker at domestic and international immigration conferences. He is a member of the Pennsylvania and Maine Bars, and received his B.S. from College Misericordia, an M.H.A. from the University of Scranton, and a J.D. from Widener University School of Law. Mr. Savatteri is committed to serving the underserved and actively devotes his time to pro bono legal services.